By using mastermind principles -that you can achieve exponentially more when working in harmony with like-minded individuals-A Perfect Fifth uses three simple strategies: pay yourself first, leverage, and multiplication. Carlos Z. Reyes, the founder of A Perfect Fifth, shares his vision: “Anyone can put these principles to work to start building wealth. In order to stop living paycheck to paycheck, you have to start investing in yourself. This simple but highly effective principle reverses the habit most people have of paying their bills and expenses first and then seeing if they have anything left over to save at the end of the month. The pay-yourself-first method “can help you focus on the big picture and reduce impulsive purchases,“ explains NerdWallet, a popular financial advice site, and suggests a “set-it-and-forget-it” or automatic payment as the easiest way to integrate this life-changing principle seamlessly into your life. “Everyone can afford $5 a week…and my vision is to show that building wealth is for everyone, by using these simple principles,” shares Z. Reyes. Interestingly, Nerdwallet suggests allocating 20% of your budget to pay-yourself-first savings, which happens to be- a perfect fifth of your income…a worthy goal that can start with the habit of $5 a week. And now we arrive at the genius of A Perfect Fifth5 people saving money together-in other words, a mastermind group. Coined in 1925 by Napoleon Hill in his book The Law of Success, a mastermind is a group of like-minded individuals “coming together in harmony to solve problems” and creates an environment where much more can be achieved together than alone. A Perfect Fifth believes the perfect number is no more, no less, than five, in order to reach the balance of support and consensus. Mastermind groups provide accountability, sharing ideas, and collective bargaining power. Together, you see your money grow-although your own money is always under your sole control. 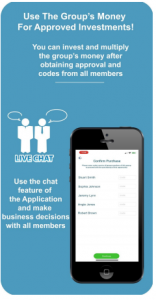 Together you can provide each other with support-a messaging system allows for cross-pollination of questions, answers, and ideas that can flow across industry lines. And together, you can reach a consensus about where to invest your much larger collective nest egg. For example, if each person arrives at $5000 individually, that’s $25,000 as a group, which provides more investment opportunity. Now that’s the power of leverage. Finally, we come to the principle of multiplication. It’s already again to save money and have it accumulating each month, but how do we make it grow? A Perfect Fifth has a mechanism in place for just that-a marketplace for all the things you already buy, with cashback for every item. Each vendor has already agreed to provide a cashback-for example, a jacket may cost you $100 and offers $10 cash back. 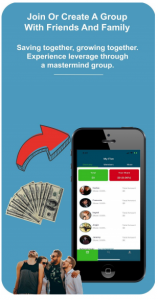 That $10 is shared evenly with your group, so everyone gets $2 deposited into their account from your purchase. Each time a member of your group uses the marketplace, you receive cash back from their purchase as well. fingertips with A Perfect Fifth app. First of all, A Perfect Fifth encourages conscious saving. In contrast, some programs such as Digits and Qapital withdraw micro-amounts from your account in a “way you won’t notice” according to Bankrate, to help you set aside money for savings. Wealth-building participants using A Perfect Fifth choose their weekly amount, whether it’s $5 or $20, and stick with the commitment-along with every member of the group. This creates a new life-changing habit: to choose to pay yourself first. Second, unless you are a shopaholic, your savings with A Perfect Fifth is likely to be more than “spare change” investing apps such as Acorns, which round up purchases and siphon off the difference into an investment account. Beware of investing too small of an amount, cautions Policy Genius or the monthly fee may end up negating the benefit. Third, with A Perfect Fifth, you belong to a group of five saving together. This is a one-of-a-kind function of A Perfect Fifth, which increases the accountability and leverage of the group for future investments. InvestingAnswers advocates “group investing as a great way to hone your money-making skills and generate profits” with the added benefit of potential savings due to collective bargaining power. Finally, and most importantly, other apps tend to invest in the stock market, which is essentially investing in someone else’s company and dream. A Perfect Fifth is saving to invest in your dream. You are building towards Your future and what your mastermind group of five has decided as its goal. Your money is 100% invested in the company of You. So you’ve saved $50,000-what now? Here is where A Perfect Fifth really does a solo act, with its vision to empower the average person through financial education. Knowledge is power, and A Perfect Fifth has partnered with PACE Finance Corporation, a non-profit organization that offers free classes in sustainable personal and business finance in order to increase wealth. Ranging from free workshops in business and entrepreneurship to free one-on-one business counseling, PACE is an invaluable resource for ‘Fifth’ members in the next step to wealth: becoming a producer. 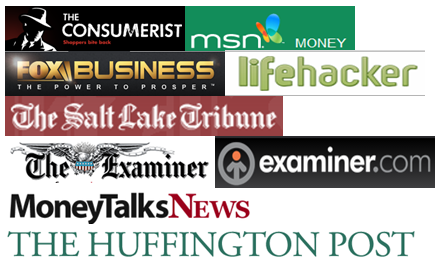 This partnership will help the “average joe” or “jane” make the educated leap from a meager existence as a consumer, living paycheck to paycheck, to a producer and wealth-builder. A Perfect Fifth is much more than another savings app-it’s a financial game-changer. A Perfect Fifth: Not savings, nor retirement, but a WEALTH ACCOUNT! 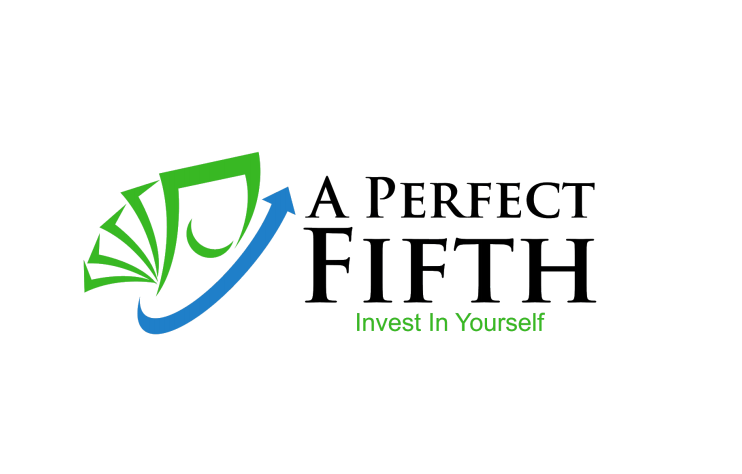 Once you’ve made up your mind to start investing in yourself, signing up for A Perfect Fifth is easy. Downloadable on Google Play and the Apple Store, the app will ask for your basics such as your ID and bank account information. Set your weekly amount as low as $5-and either join an existing group with a like-minded goal or create your own. Then watch your individual and group savings grow! 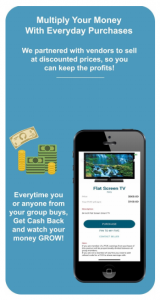 Buy things you would normally buy through A Perfect Fifth marketplace, and send yourself and your group cashback. Communicate with your group of five about investment ideas and advice. Harness the power of A Perfect Fifth and make it work for you…soon you’ll be hearing the sweet music of success! 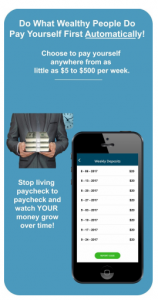 Nice app that helps me to start saving money and be on my way to becoming a little more wealthy. Love the market place where I also receive cash back on every purchase I make.